Breathless race to safety through the beautiful Gulf Coast! The Scorpion: Winner, Best Lesbian Romance Intrigue/Thriller; Finalist, Ann Bannon Popular Choice. October, 2010: The best part of The Scorpion is that Hill works the plot so expertly the reader won't know who the kingpin is until the end. Up to that point there is tension and excitement. The book is fast paced, so the reading moves quickly... Gerri Hill has crafted an intriguing crime drama with a touch of romance. June, 2010: Hill gives us another dose of what she does best. She surrounds an absorbing mystery with heart-pounding, thrilling action and combines it with a hefty dose of sexual allure between the two main characters. Her characters and her stories are always fresh, and this one is no different. 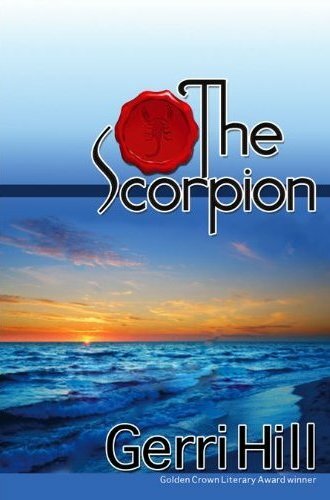 February, 2010: Gerri Hill is a wonderful storyteller who fills The Scorpion with sharply drawn characters, plenty of action, and wonderful sexual tension.